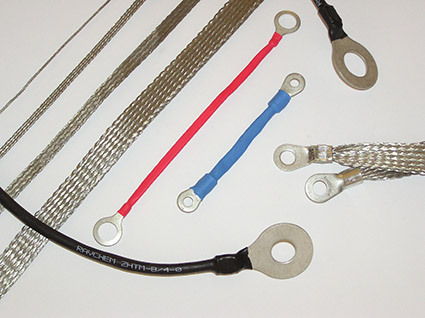 Exclusively manufactured to meet your specific requirements, flexible braid assemblies have the capability to flex without hardening and are particularly suitable for applications subjected to vibration or movement such as transportation, defence, aerospace, production machinery, control panels, door panels, etc. We can provide a wide range of termination options to ensure you achieve the correct mechanical bond between the conductor and the anchor point, even in situations involving a very tight bend radius such as confined spaces or where alignment problems occur. If required you can also specify various insulation options for protection and identification purposes. Connect-2 Technology has rigorous procedures in place to ensure only the appropriate specified tooling is used to ensure accurate and consistent terminations which comply with the terminal manufacturers recommendations. Hence you can be assured that each individual assembly will perform reliably and within the mechanical and electrical specifications of the individual design.